It’s no secret that I teach students with special needs (and absolutely LOVE it!). I have a smaller class size, but the diverse needs of all of my students keeps me on my toes. It’s actually a really awesome thing because it gets the creativity in my brain rolling. After discovering the unique needs of each of my students, I knew I had to come up with something for Calendar Time first thing in the morning. 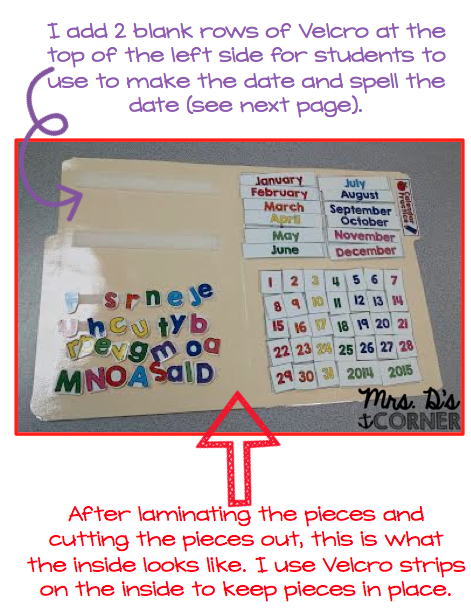 It’s such an important skill that my students need to have, that I needed to make sure that each kiddo was getting the supports they needed from me to be successful in showing they know how to “write” the date! The prep for this folder is time consuming. Cutting pieces out, laminating, cutting pieces out again, cutting and apply the Velcro … but once it’s finished, IT. IS. AMAZING! 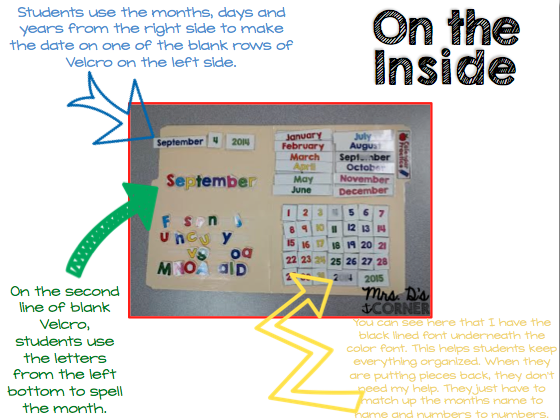 My students love this and they can follow along to a T with what the other students are doing. 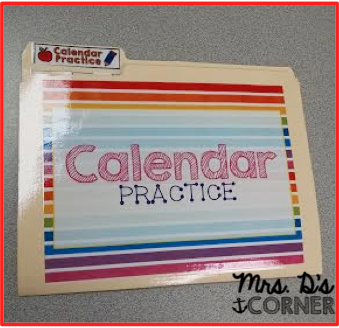 Because we do whole group calendar center at the front board with the calendar and all that other fun stuff and then complete our individual calendar center “stuff” at the back round table, I created pages for my students that already had the dates on them. 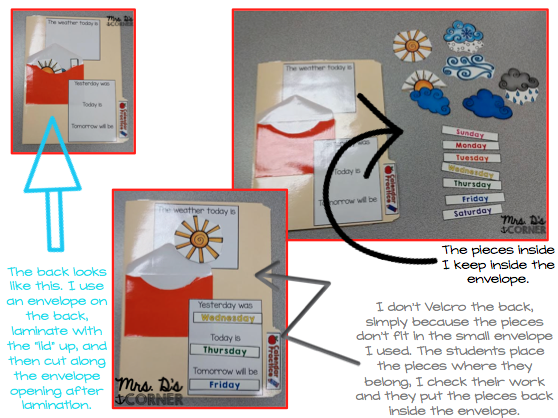 In the second folder picture, you can see how I differentiate the needs of my students. Some students need the words written in highlighter to trace, some need the page just by itself with no distractions, and others have pages printed front/back. It all depends on what my students NEED! I’m really proud of my calendar time and how well my students have been doing with it during the first 3 weeks of school. It took a lot of prep work to get set up and to teach them the routine of Calendar Time, but now they’ve got it and we’re able to zip right through it to stay on schedule. Love my kiddos! 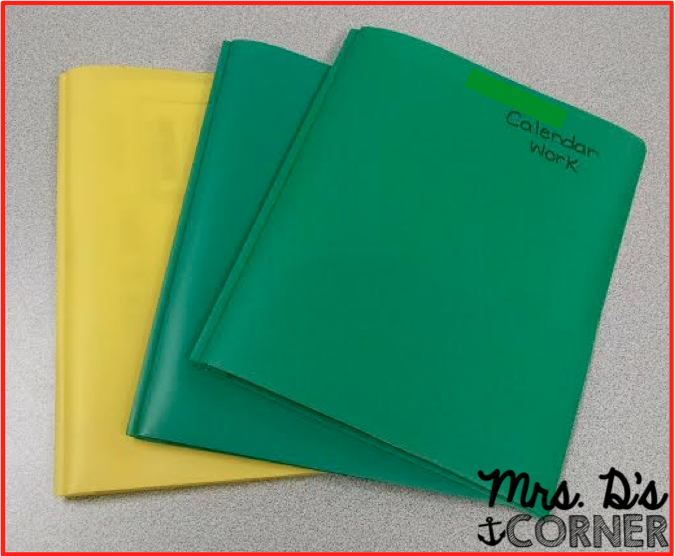 You can pick up the Calendar File Folder [here] and the monthly folder pages [here]. 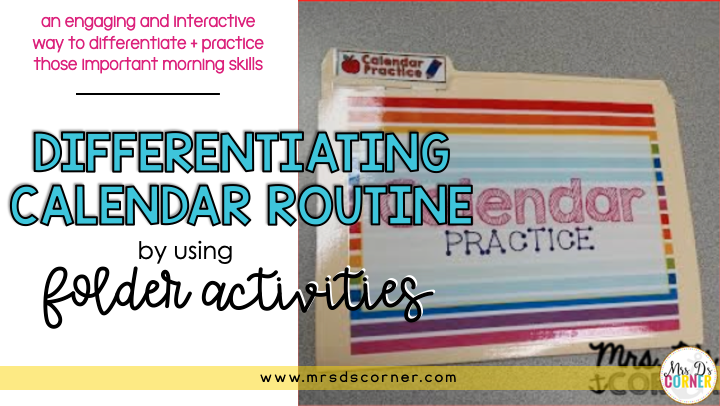 How do you differentiate calendar time in your classroom? Where can I find the calendar pages that you have shown here in 3 different ways?